"True love can take many forms. 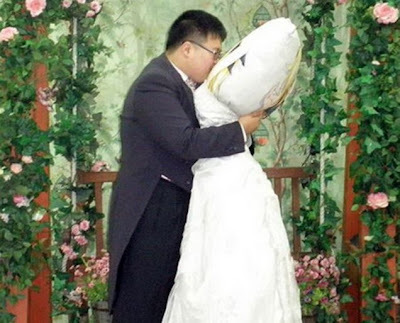 In this case, it has taken the form of a Korean man falling in love with, and eventually marrying, a large pillow with a picture of a woman on it. " hahahha, this was an epi of 30 rock. I saw that one. It must be more commonplace than we all thought!